Vanillin is one of the industrially important compounds that can be produced from lignin. 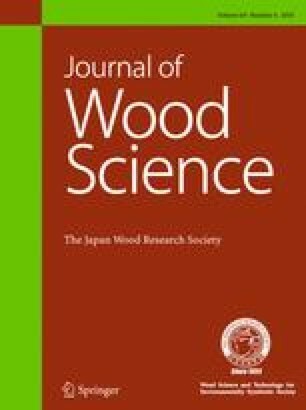 This study presents production of vanillin and vanillic acid (oxidized form of vanillin) through aerobic oxidation of Japanese cedar (Cryptomeria japonica) at 120 °C for 72 h in aqueous alkali solutions with several Bu4N+ and OH− concentrations (1.25, 2.50, and 3.75 mol/L), where Bu4N+ is an enhancer of the vanillin formation reported in our previous study. The concentrations of Bu4N+ and OH− were adjusted by the additions of Bu4NCl and solid NaOH into the base medium Bu4NOH·30H2O, which forms 1.25 mol/L aqueous solution of Bu4NOH at the elevated temperature. Vanillin and vanillic acid were produced with the maximum yields of 21.0 and 1.7 wt% (lignin-base), respectively, at the 1.25 mol/L Bu4N+ and 3.75 mol/L OH− concentrations. This vanillin yield is close to that obtained by the alkaline nitrobenzene oxidation (26.5 wt%), indicating significantly high selectivity of our lignin degradation with Bu4N+ toward vanillin formation. We also proposed a novel Bu4NOH·30H2O-free reaction medium, where Bu4NOH·30H2O as the base medium were substituted with an aqueous solution of Bu4NCl and NaOH to avoid using expensive Bu4NOH·30H2O. The treatment of the Japanese cedar with this alternative medium exhibited the moderately decreased vanillin yield of 14.6 wt%, which is, however, much higher than the vanillin yield obtained with a simple 1.25 mol/L NaOH solution. The online version of this article ( https://doi.org/10.1007/s10086-018-1766-0) contains supplementary material, which is available to authorized users. This work was supported by the Technologies for Creating Next-Generation Agriculture, Forestry and Fisheries under the Cross-Ministerial Strategic Innovation Promotion Program (SIP) administered by Council for Science, Technology and Innovation (CSTI), Japan, and a Grant-in-Aid for Young Scientists (B) (No. 17K18008) from the Japan Society for the Promotion of Science.